As a G4S employee, by this time you would have received a copy of the company’s Union Contract offer negotiated by UFCW Local 401 and members of the G4S Security Guard Negotiating Committee. Both the union and the negotiating committee unanimously recommend this offer presented to members. G4S Security has informed the union, as well as the negotiating committee, that this offer is their best and final offer to security employees working in the CIVEO owned camps. The final demands of the G4S negotiating committee on behalf of members in this offer of agreement, which includes a hard to come by wage increase for workers in today’s Oil Sands, almost brought the negotiating process to a standstill when the details were heard by the company’s negotiating team. When the G4S negotiating committee presented its final monetary position, there was a heated exchange with the company’s negotiators who threatened that guards would be “out of work in a week” because the union and committee were asking for a 10% wage increase, over-time pay on all hours worked over 10 hours, and a $150.00 travel allowance for employees with paid travel costs to and from Edmonton per scheduled turnaround. As the company was not ready to accept the monetary offer at this time, this negotiating session ended with the union showing the company and its team of negotiators the door and telling them to come back with their best offer, an offer which G4S employees deserve. UFCW Local 401 is proud of our structure and of our member’s right to choose the best of course of action related to their needs at work. At G4S, like all other workplaces represented by Local 401, it will be up to the workers to decide whether this final offer by their company is truly in their highest interest. Respect for our membership means it is the union’s job to educated members on the details of the offer, to answer questions and to give guidance based on research and decades of experience as Alberta’s leading and most progressive labour union. It is your workplace, your union, and your freedom to choose; this is the freedom we fought for together when G4S employees decided to allow UFCW Local 401 the honour to be their union. 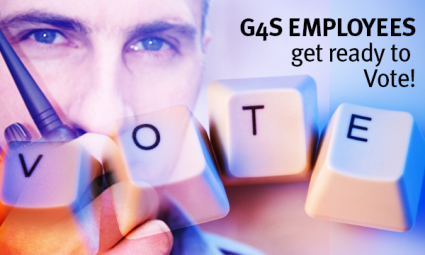 Therefore, the membership will now have a chance to review and vote on what the company says is their best and final offer to G4S Security employees before any action is taken that could put the G4S contract in jeopardy, such as a strike. The final offer includes a 10% monetary increase in the form of a tax-free travel allowance and a 6% wage increase. Per turnaround, this equals a wage increase of $196.56 and a $150.00 travel allowance, for a total increase of $346.56 per turnaround. G4S Security Guards work 13 turnarounds every year, so the improved language won for members in this contract equals a total increase of $4505.28 per year in the first year of the contract. This is a one-year contract and the union will start negotiations for a new contract with the company 9 months from the ratification date of the current contract. Contract ratification votes are scheduled for April 7, 2015. This will be an online vote, please make sure the union has your up-to-date email address no later than April 3, 2015 to be eligible to vote. Please send all updated contact information to UFCW Local 401 Administrative Assistant Tammy Robichaud at trobichaud@ufcw401.ab.ca.